Parking is a vital piece of public infrastructure, but is it being managed properly? 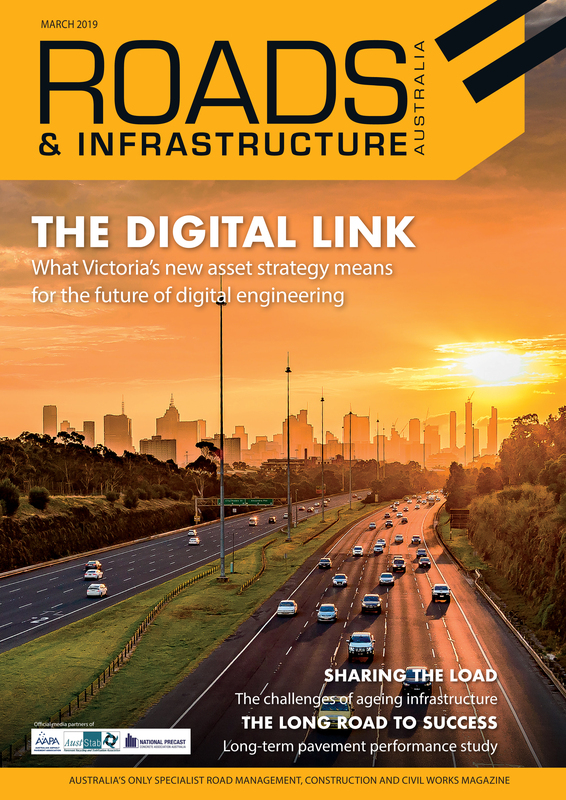 Roads & Infrastructure Magazine speaks to Elizabeth Taylor from RMIT, who reveals some ways Australian parking infrastructure can perform better. Unfortunately for cities around the world, that attitude can lead to a cruising effect and congested roads as motorists search for the rare inner-city free parking spot. Elizabeth Taylor, a research fellow at RMIT’s Centre for Urban Research, says the majority of motorists across the globe are unwilling to pay for parking. “Almost 96 per cent of trips in Melbourne are ones where the driver doesn’t pay for their parking. People are used to it being free and parking is seen as a right. It’s something that many believe the government should provide as part of their road infrastructure,” Dr. Taylor says. As more motorists hunt for the tantalising possibility of getting the perfect parking spot, it leads to more cars on the road. Dr. Taylor says parking researchers have found that in these inner-city areas, a third of the traffic on the road is simply looking for a spot to park. The resistance many have to paying for their parking can be attributed to some basic human psychology. When something that is usually offered for free now has a price, drivers feel as if they have lost something. Dr. Taylor says that this aversion to loss taps into something deeper than just the back pocket of the driver. “Car parking is critical, as cars spend more than 95 per cent of their time being parked. Any limit to this is threatening the very sense of freedom that comes with owning and driving a vehicle,” she says. Areas like Melbourne and Sydney face the additional challenge of needing to provide space for cars in cities that were built when the horse and carriage was one of the most common modes of transport. 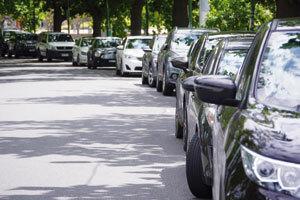 While it may feel as if there is nowhere to park, Dr. Taylor’s research has found that in the inner-city residential areas, 25 to 40 per cent of off-street parking spaces are actually empty. She talks to Roads & Infrastructure Magazine about how car parking can be managed better to take advantage of the space available. Dr. Taylor says that one potential way of finding these spaces is to integrate smart technology and sensors. “When people know where the parking is, they’re able to find a spot quicker and easier, which also helps councils and parking companies respond to issues of supply and demand,” she says. This sensor technology is already in use around Australia, being used in major shopping centres to help reduce the hassle for shoppers of finding a space. By doing so, Dr. Taylor says the companies have been able to reduce the number of wandering cars. “In most shopping centres, there is much more parking space than actual floor space, meaning it is important to monitor the occupancy and use parking space more efficiently,” she says. Monitoring occupancy could be as in-depth as installing sensors under each parking spot, or as simple as adding boom gates. Some apps even exist to link carpark owners with drivers searching for the spot to minimise the cruising effect. This smart technology also presents a challenge for parking spaces, especially when considering the growth of ride sharing and autonomous vehicles. Dr. Taylor says these innovations may lead to a reduction of cars in the city trying to find a space. “Some extreme visions of the future of self-driving cars is that they come into the city, drop off their passenger, then drive home again. This could see a significant reduction in the amount of inner-city carparks actually in demand,” she says. “This means the viability of building dedicated multi-storey parking structures could be in question. For structures designed solely for parking, many have lower ceilings that do not allow for easy modification into a new type of building,” she says. 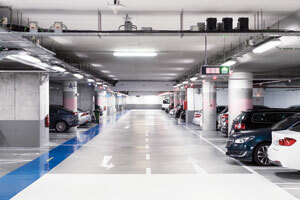 An example of future-proofing parking structures can be found in the city of Minneapolis in the US, which changed its regulations to encourage parking garages to have higher ceilings and ramps designed to be convertible. This is to make it easier for the building to be redeveloped into a residential or commercial space with minimal demolition work. When it comes to building better surface parking, Dr. Taylor says local governments are thinking about the environmental costs as well as the economic costs and using different materials in their designs. “A standard surface carpark is a large, flat, black area of asphalt which isn’t the best to look at and has a heat island effect,” she says. “On a hot Australian summer day, when walking to the car it can feel as if you are walking on the surface of Mars. That’s why in Sydney there is now a planning requirement to provide a certain amount of shade through trees. Grass and turf-based parking areas can also work for buildings such as stadiums or sporting grounds where parking is only needed somewhat intermittently, with materials such as engineered timber also an emerging possibility. Dr. Taylor’s research has found that of Australia’s major cities, the City of Melbourne’s data on how many car parking spaces are available is unusually up to date, with an estimated 225,000 spaces across the central city. However, she says there is usually a lack of data when it comes to knowing the actual supply and demand of parking spaces, with many design decisions based on anecdotal evidence and educated guesses. One possible solution to help improve parking availability is to implement a market-based system which takes demand into account more directly. Parking garages and certain areas in a council could charge higher or lower fees depending on variations in demand for them under this model. Dr. Taylor says this would help encourage people looking for cheaper parking to spread out. “In a system such as this, the target to hit is ensuring around 20 per cent of the parking is available at any given time. It works well in commercial districts, which if designed to be modular or at least adaptive, means they can be used for something else in the future,” she says. One issue that this model faces is how it would interact with the current public transport infrastructure in the suburbs of cities. As Australian cities have grown outwards geographically, many newer suburbs have been designed around the car, which often means a person who works in the city doesn’t have access to public transport infrastructure. “In Melbourne’s outer suburbs, many households have three or more vehicles partly because they have no access to the public infrastructure network near to them. Compare this with suburbs near the inner city where car ownership is stagnating or even decreasing, with 50 to 60 per cent of households owning no car at all,” Dr. Taylor says. If a market-based model was implemented for train station parking, Dr. Taylor says it might cause an outrage. “The possibility of having pricing at these locations is politically sensitive. But while it may currently be free for the driver, the costs are instead moved onto taxpayers and other public transport users, as less space and money are invested for other infrastructure,” she says. Two key elements to improving parking infrastructure, according to Dr. Taylor, is a mixture between the right technology and governance, especially when it comes to the urban/suburban divide. She says that Melbourne’s current parking infrastructure is designed around just building more space for vehicles to park. This approach was imported from Los Angeles after a visit from an urban planner in 1954. Dr. Taylor says that while this approach is not particularly efficient to manage space, there is still a lot that can be learned from other countries that have excelled in parking infrastructure. The City of Freiburg in south-west Germany has performed extremely well in this regard. Sustainability Victoria has released a case study on the precinct of Vauban, where legislation prohibits the building of parking space on private property for most of the residential area. Instead, centralised garages provide parking for residents and businesses that buy or lease a space, meaning car-free households save the costs of a parking space that is usually hidden in purchase of lease costs. The policy has led to more space being available for valuable land use. This, alongside streets that tend to favour pedestrians and cyclists over motorists and a high-quality public transport system, has led to around 64 per cent of trips made by walking or cycling, compared to an average of around 15 per cent for metropolitan Melbourne.